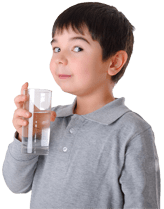 Aquarion Water Co., the largest investor-owned water utility in New England, has been buying dozens of water systems and several small companies recently. The industry is consolidating, eliminating small operators that don’t have the capital to repair pipes and meet increasingly costly government mandates. Since April, Aquarion, which serves more than 580,000 customers in 39 cities and towns, announced plans to purchase water systems serving a few thousand residents “with the goal of unifying fragmented operations” and preparing for future development. A spokesman for Aquarion said smaller water companies cannot always meet standards set by the Department of Health. “Not that they don’t have good water, but it’s increasingly difficult to continue meeting standards,” he said. Tim Winter, an analyst at Gabelli & Co., said pipe replacements are the main ingredient in the costs of running a water company. “It doesn’t make sense for a 500-customer water system to build a treatment plant, but it would for a 100,000-customer company. Michael Dean, executive director of the National Association of Water Companies, said as many as 54,000 community water systems in the 1990s now number about 43,000 as smaller companies are bought by larger ones. Each serves fewer than 3,300 customers on average, Dean said. “It’s slowly going down, that’s the trend,” he said. Increasingly stringent standards, new technology and cost advantages to running a larger enterprise help explain the industry consolidation. The U.S. Environmental Protection Agency, said costs include energy, which can account for 30 percent to 40 percent of a water system’s operating expenses, a certified operator to maintain the system, chemicals and — for some systems — significant and costly water loss.